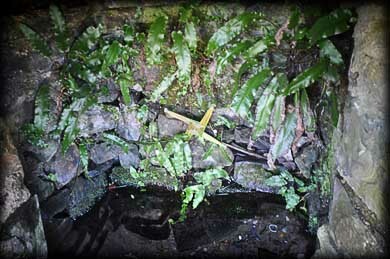 This is one of six wells said to be present here at Tara. Since my first visit the area around the well has changed quite dramatically. 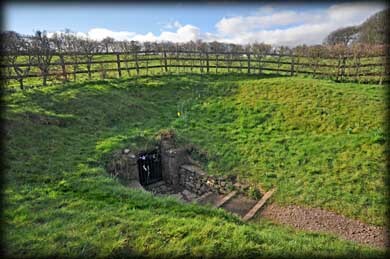 In 2002 landowner Dinny Donnelly gave permission to Slaine - the National Well Restoration Society and The friends of Tara Group - to restore the well. 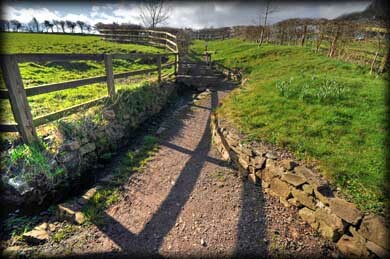 There is a short track leading from the main road up to the well. It has been called many names over the years, Deare Dubhe - Well of the Dark Eye, Liagh - Well of the Healer, Caprach Cormac - Cormac's Well and the name it is commonly known by Tipre Bo Finne - Well of the White Cow. 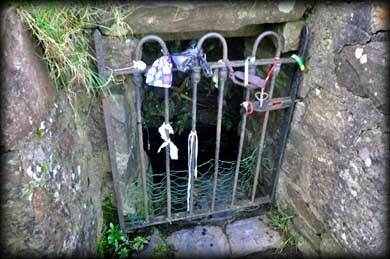 Recently it has been named as King Cormacs Well and even later St Patrick's Well. Situated: From the Car-Park at Tara head south alond the road passed the shop. The well is about 100 metres south of the shop on your right. Discovery Map 42. N 9209 5971. Last visit Mar 2012.